If mainlining caffeine is your thing (just like us), then you’ll be happy to read through this guys! 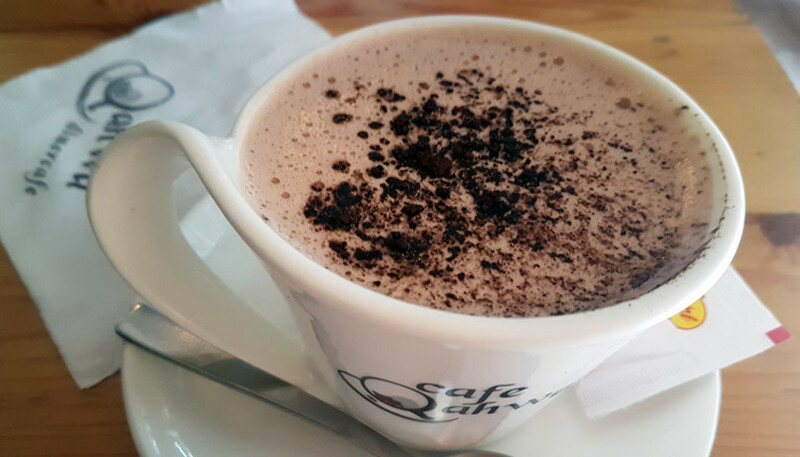 A quaint cafe nestling in the heart of SDA offers some real offbeat concoctions of coffee and so we headed there to seek java fix. Read on to know exactly what made our coffee-craving taste-buds tingle! Enticed by the very name, our first order turned out to be their Black Forest Coffee. The very first sight of it made us drool! It had loads of vanilla cream and was festooned with a cherry on top - just like our black forest cake. We took a big slurp at the cream first and immediately sipped our coffee. 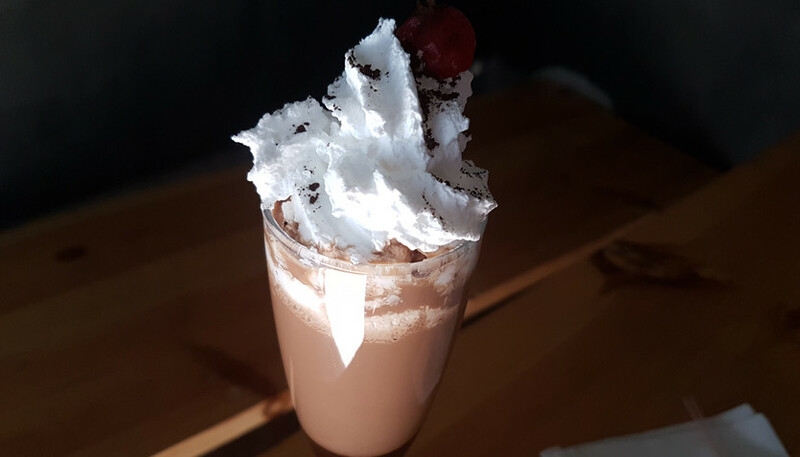 The drink was a perfect blend of chocolate and coffee, and the cream simply gave us the feel that we’re actually sipping on black forest. A big thumbs up to Qahwa for coming up with this concoction! Next up was a real crazy combination; mango and coffee! Yup, you read that right. Now this cup of coffee came up looking real pretty, with the colours of sunset splayed over three layers - the first of espresso, then milk and at the end was a layer of fresh mango pulp. They said that the best way to have it was to mix all the layers and sip it, and so we did exactly that. It tasted like good, strong coffee with mango pulp in every slurp. Yum yum! This cafe also whips up some crazy coffees like their Kulgi Kaffee Krush and just by reading this name, we knew that it’d be our next order! The glass of this kulfilicious coffee looked utterly tempting with lots of almond shavings laying heavy on top of it. The first sip of it just blew us away! 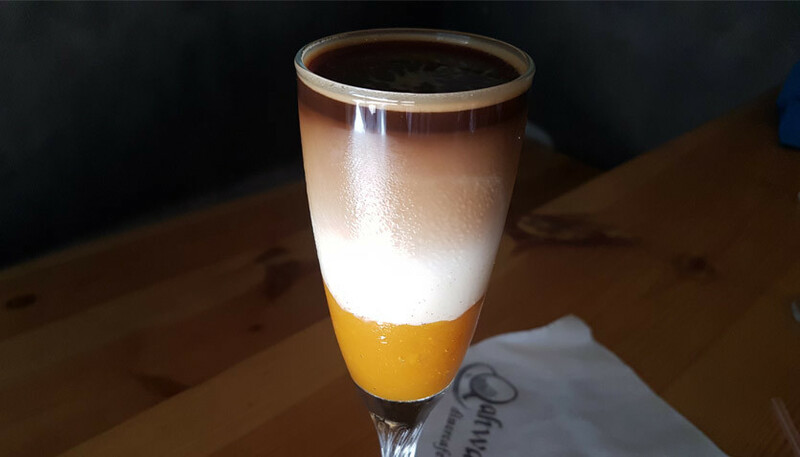 The blend of kulfi ice cream and espresso can be perfectly labelled as a night drink - definitely go try this one! After having gulped down three cold coffees, it was about time to indulge in some piping hot coffee too, and so to wind up we ordered a Coconut Latte for ourselves. We honestly liked it much better than the usual latte. No, it didn’t have coconut chunks or shavings, but rather had a very mild coconut flavour to it. The drink calmed, soothed and warmed us down just like a mug-ful of hot chocolate does, and so we’re certainly going to head here to seek some coziness in the coming winters! 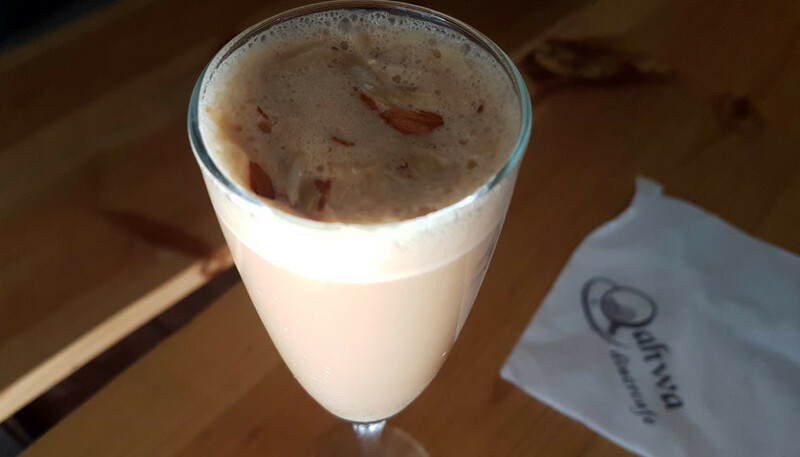 So in a nutshell, Qahwa is every coffee lover’s paradise. So steer your wheels here when craving your java fix - we’ll just meet you there, shall we?